When I was a child I had this habit of taking an ice cube and pressing it against my cheeks. Talk about the innocence of childhood. Fast forward 20 years and I have my beautician telling me that the same method can be used for a number of ways in curbing many skin related hiccups. Ice cubes are plain and simple and it merely has its content only as water. No added chemicals or supplementary components. As a result, it is considered pure and this makes it as a perfect ingredient in benefitting many of our skin inconsistencies. Further, you can also input some of your own thoughts into making an ice cube like fresh juices or vegetable juices. It is readily available, easy to make and has no hindrances associated with it. Just wrap a few ice cubes in a plastic zip lock or a piece of cloth and be ready to survey some of the points which we have listed out below. Here we go, as to why ice cubes are beneficial for your skin on the whole. Even after taking care of your skin with countless skin products, you have to exfoliate them now and then to get the full benefits. Dead skin cells do accumulate on the surface of your skin tissue and unless you exfoliate, these substances will not go away. 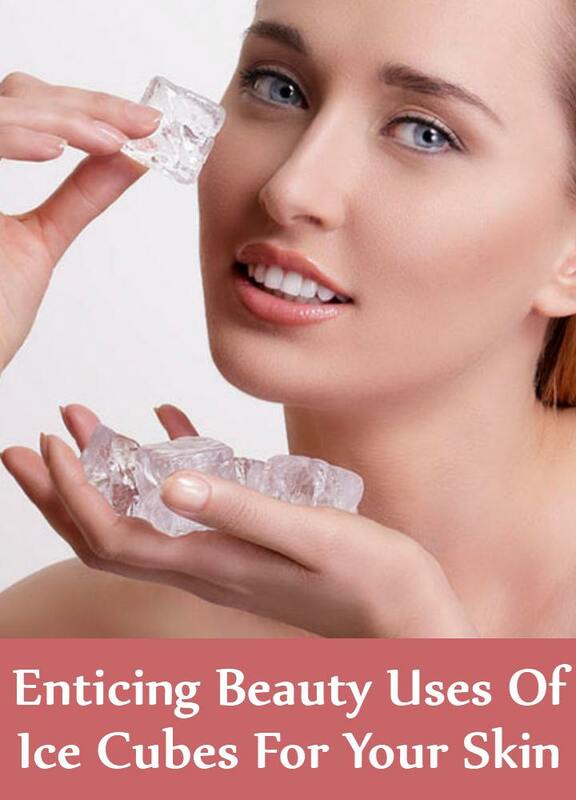 Use ice cubes for skin foliation. Instead of using water, you can try to fill an ice tray with crushed orange peels, milk and a drop of honey. Once it gets iced, take them out and gently rub them on your hands and feet. You can even try it on your dampened face. This is one of the great methods to exfoliate your skin instead of the usual scrubbing methods. It is not only us who get tired by the end of the day but even our eyes. We take ample rest for ourselves but often we ignore our eyes. This leads to dark circles or spots around the eyes. Eyes are sensitive and they need to be pampered and cooled down too. Best way to do them is with ice cubes. Take a few ice cubes and wrap them in a thin cloth. Now press this on each of your eyes for a few minutes. Take it off and relax for a minute and apply the pressure once again. Repeat this 4 or 5 times for each of your eyes. Do it at the end of the day and notice the freshness your eyes get. Also, always wrap the ice in a cloth before keeping them. Do not apply it directly. 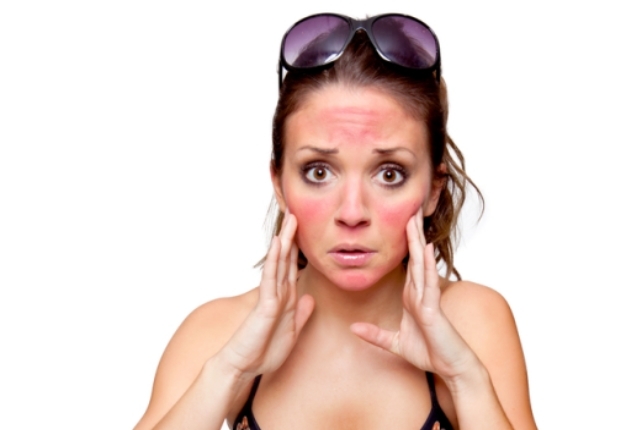 Skin inflammation or redness is something that occurs due to many factors. Often these are the starting stages of a boil or a skin infection. 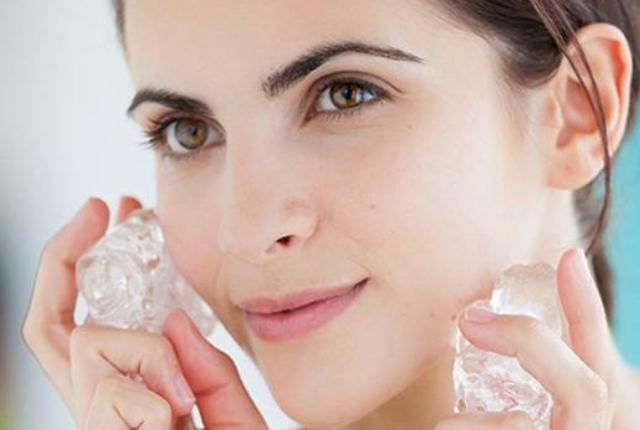 You can use ice cubes to ease the pressure and soothe your skin. Take a raw ice cube and rub it gently on the areas affected. Instead of ice, you can also alternate it with fresh Aloe Vera juice. Pour some freshly extracted Aloe Vera Juice in ice trays and add in a drop of honey to each and mix them. Once it freezes take them off and rub them on the skin gently. Repeat it twice a day for better results. Supple or a nonelastic skin is the starting stage of skin sagging. Once the sagging starts it becomes extremely complicated to strengthen and maintain it. Instead of going for expensive skin toners available in the market, try out ice. More importantly, make the ice with green tea water or herbal tea water. Mix a generous amount of honey to each ice slot and mix well. Once it freezes, use them on your skin and gently rub on your tissues. After some 10 minutes, wash off the area with cool water as the honey can tend to get sticky. Try out this procedure 3 to 4 times a week and say good bye to skin toners available on the counters. Sunburns are something that occurs with regular intervals especially in the tropical regions. Sun screen lotions can be annoying and most of the lotions do not really agree with our skin when used under the harshest sun. Try out ice cubes. The chilled out portions travels deep inside your pores and can reduce the harshness caused by the warm temperature. Instead of using only water make the cubes with lemon. Make some lemon juice without any other ingredients, pour them in the trays and set aside in the freezer. Once it freezes rub them on your hands and face to normalize your skin back. Do not apply the ice directly if your skin has developed any cuts or injuries.